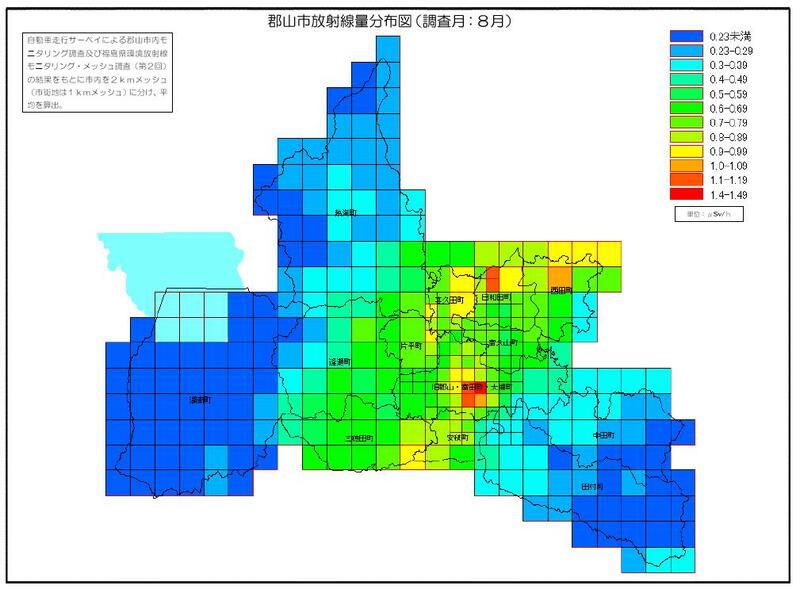 It is just a matter of how you define the problem, and Koriyama City in Fukushima Prefecture, in the high-radiation “Nakadori” region, has decided to “define out” the problem by drawing the radiation contour map of the city with a new set of color schemes so that people will feel “safe and secure” looking at such “low” radiation levels. After all, the nuclear accident is “over”, remember? The map used to have 1.49 microsievert/hour as maximum, in red color. 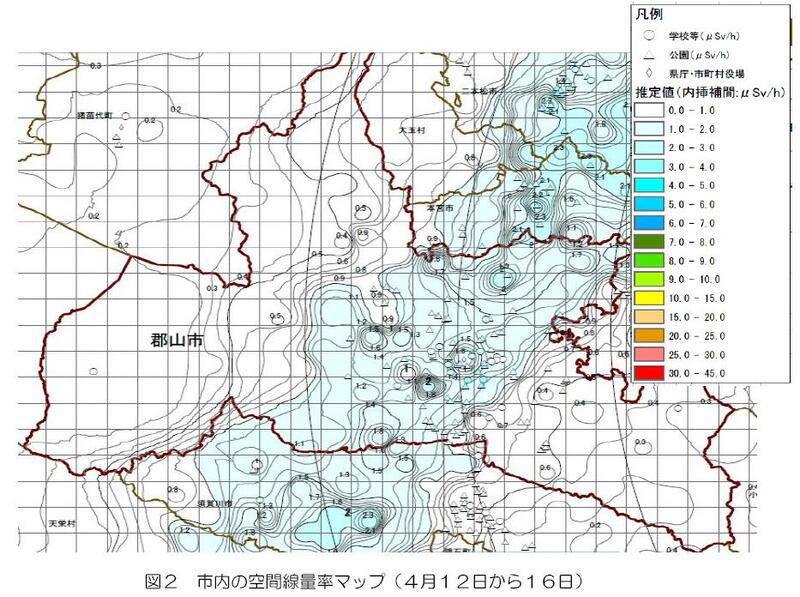 Now, in the new version of the map that accompanies the Koriyama City’s official decon plan, 45 microsieverts/hour is the maximum in red color. 1.5 microsievert/hour area is now in a calming, safe-looking extremely light blue. Would the residents of Koriyama fall for this trick? Probably yes.